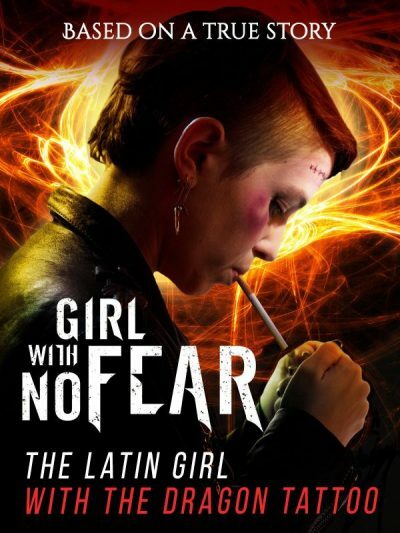 I’m really quite annoyed with the alternate title, under which this Ecuadorian film popped up on Amazon Prime, and also the tag-line from the poster (below): “The Latin Girl With the Dragon Tattoo”. Because they create a set of expectations which the film is wholly incapable of meeting. To be fair, I don’t think it’s particularly interested in meeting them. If this had been advertised as it actually is – a slowly developing story of a troubled young girl and her relationship with her dementia-stricken grandfather, culminating in a last road-trip to the seaside – I’d probably have been less irritated. Mind you, I almost certainly wouldn’t have bother watching it, so score one for false advertising there. There are some superficial similarities to Dragon, not least in the heroine: Ana (Piechestein) has the same pierced punk look, and a significant chip on her shoulder. However, unlike Lisbeth Salander, the reason for her anti-social truculence does not appear rooted in much more than teenage brattishness. Her mother, having acquired a plum job in Texas, chooses her estranged and dickish husband, Jorge (Gomez), to take care of Ana, after putting her father, Martin (Buenaventura) into a cheap medical facility. This proves a mistake, as the dubious pharmaceutical company for which Jorge works, is using it as a questionable test facility for its drugs, with the co-operation of the clinic’s head. When Ana finds out, she busts her grandfather out, with the help of a sympathetic nurse. At this point, Lisbeth Salander would have gone on the offensive, hacking into Jorge’s computer, finding evidence of malfeasance and exposing it through a conveniently passing Mikael Blomkvist. Possibly while beating up the head of the clinic with a couple of Abba CDs in a sock. Ana? Not so much. She takes her grandfather to hang out with some of her punk friends for a bit, and becomes something of a media celebrity – a situation from which Salander would run a million miles – after robbing a pharmacy for medications. Then, in response to Martin’s request during a moment of lucidity, heads for the seaside, and the site of an incident which was a formative influence for them both. It’s much more road movie than ScandiNoir thriller. It’s not clear how much of the mimicry was intended by Esguerra: the original title, which translates as “City Without Shadows,” seems fairly meaningless, yet is at least cut from its own cloth. On the other hand, the look of his heroine suggests the similarities are not pure coincidence, and that’s probably a mistake. Going down his own, separate path might have led away from an obvious marketing campaign, yet would likely have been more honest and left this viewer with less of a sour taste in his mouth. For a bad copy of a good movie, is likely significantly worse than simply being your own film, almost regardless of whatever issues you may have.